Have you ever wanted to do more with your blog? What about building something bigger than yourself – is that a thought you've had? 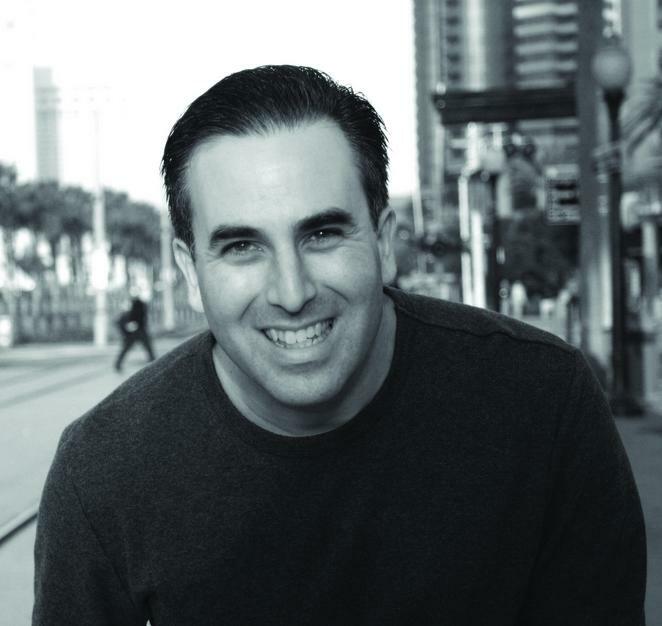 In today's interview, I interview Michael Stelzner – the founder of Social Media Examiner, The world’s largest online social media magazine! How in the world does someone enter late in the game and build something that takes the world by storm in an overcrowded space? That's exactly what we talk about in this episode. When most people start blogs, it's limited by one significant factor – themselves. If they (myself included) aren't creating the content, then there is no content. Michael decided to go a different route. Instead of just being the typical blogger, he decided to bring together a team of experts that can share actionable, valuable content based on their experiences and create something huge as a result. Well, that's exactly what happened and the rest, as they say, is history. There's a ton of inspiration in this podcast episode. For me, it has given me a drive to want to do something bigger. Here's what I recommend – Have a seat, take out a pen and paper (or some electronic device if you're like me), listen in and take notes. Blogging can be bigger than you think, and this is the interview to inspire you to think big. Not just that. There are also many actionable tips that can help you really take things to the next level. And once you're finished listening, leave me a comment and let me know what you learned! According to the 2013 Social Media Marketing Industry Report, only 5% of marketers are podcasting. 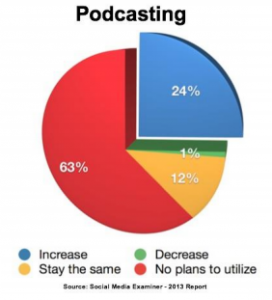 However, 24% plan on participating in podcasting in 2013. These are very interesting numbers, especially for someone like myself who LOVES podcasting. With the boom of smartphones, Apple coming out with a dedicated podcast app, and car manufacturers integrating podcasting into cars, it opens up a relatively new ground for us to reach out to our target audiences and grow our brands. If you aren't podcasting, maybe you should get on it. In almost every niche, there are movers and shakers – people who are doing big things. 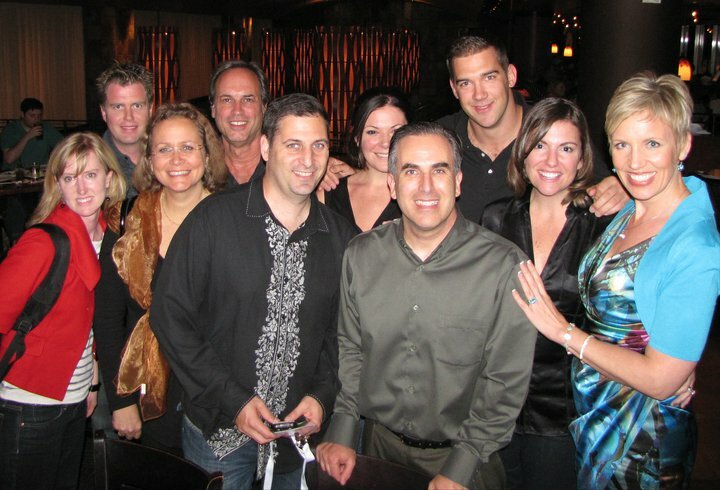 If you want to get your brand out there quickly, you want to make sure that you are connecting with the right people – the movers and shakers. This is something MOST people get wrong. It's not about what they can do for you, it's about connecting with them as REAL people. How do you do that? Listen to what Michael has to say in this interview. Social Media Marketing Industry Report – Annual free report offered at the blog with updated data and statistics related to social media. 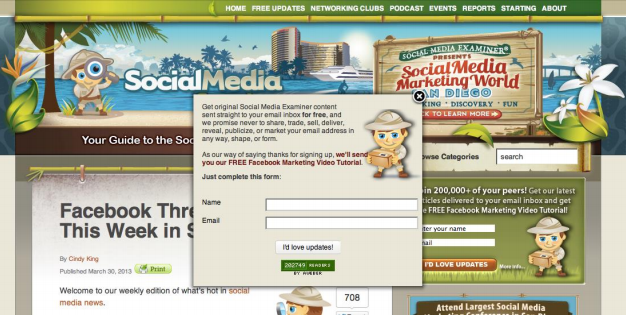 Survey monkey – Used to collect surveys for the annual Social Media Marketing Industry report. The Networking Club – Social Media Examiner's own community hub. Writers – where interested writers can submit their application to contribute to Social Media Examiner's content. MyKidsAdventures.com – Michael Stelzner's upcoming project. 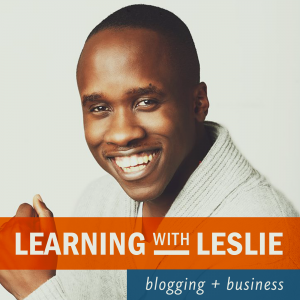 I share tips and strategies that I've learnt building blogs since 2008 and interview experts who are knowledgeable about various aspects of blogging so that we can learn from their experiences. If you're a blogger, thinking about becoming a blogger (pun intended) or are not even sure if blogging is right for you, go ahead and tune in to see what this blogging thing is all about. I’m in the middle of a coaching session but I had to pause when I read your email that lead to this episode. First of all, when you mentioned my name in the middle of your email and not just the beginning, it was equivalent to you reaching out of the computer screen with a bullhorn! I’m definitely going to copy that even though it wasn’t at the heart of this episode. Secondly, i haven’t even listened to this blog episode as yet but I have it cued the moment my client walks out i’m going to be all over it! I’ve always believed that a blog is just a stepping stone for something more. it’s not the destination, it’s the vehicle. I’m eager to hear how Michael explores that concept. I know for a fact that YOU are gonna LOVE this episode – especially for what you’re trying to do. Make sure to let me know what you think when you listen to it. THis is a good one, just shows me once again that there is more than 1 way to get it done, I mean writing as few as six posts a week and doing just a podcast here and there and still managing to build an army of loyal readers is no small feat. While it’s tough to relate to some of this stuff as it wouldn’t work in what we do as at 1,600 articles a month we are more content driven, I do think it’s important what Michael said about “the other guys” is so true. I mean he has a fairly solid readership and I had never heard of his site and like he said, most of the other guys just don’t do a great job, something we have taken advantage of from day 1 as well. You are so right – more than 1 way to get it done. Btw – it always makes me chuckle when you say things like “as few as six posts a week”. Most people look at that and say – MAN, SIX POSTS A WEEK? THAT’S A LOT . . . and then there’s Mitch the BEAST! 1,600? Insane! Great podcast Leslie and Michael. My favorite line was right at the end. “It’s not that you are late to the game, it’s because you can do it better.” That’s just what I needed..
That’s definitely a powerful line right there Lee. Lets do this thing better! And an overcrowded space is only going to get more crowded as the next few years go by. Each time it gets more saturated the old methods are less effective and survival online becomes increasingly dependent on innovation and ones ability to “step things up” to another level (a challenge not so easily accomplished.) Your insights are greatly appreciated Leslie. Thank you. You are correct. More and more people are coming onto the scene and that makes it more crowded. However, I’m a firm believer in the fact that creme always rises to the top. Make sure you do great stuff and you’d be surprised at how much you can rise. Also being content with one off writers is a hit and miss thing, what we do is make the writers part of our brand to build the audience and when I see someone googling one of my writers names I see it working while Michael’s blog name is his brand, it works for him. This has to be one of the MOST informative podcasts I have heard in a while. Michael knows his stuff and has the “arrogance” to tell us. It’s not Derek Halpren’s type of arrogance, but more of confidence that he will be around and can win in any niche. Some would call it “swag’ and that’s what is contagious. Leslie, you are going to do it and become big in this arena. You already are, but staying humble and focused and keeping God first is key. Again, great podcast and look forward to seeing and working with you soon. Mike definitely knows his stuff and I got so much from this interview. I’m looking forward to where things go from here, but I definitely agree with you – Keeping God first is ESSENTIAL!